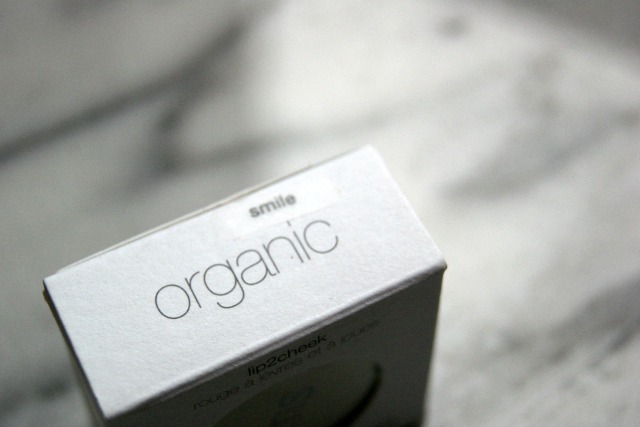 When I first starting switching to green beauty products, I was slightly concerned about whether the quality of make up would drop. 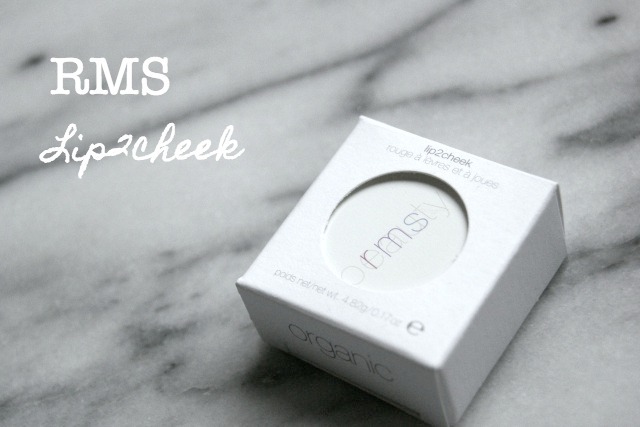 rms was one of the first brands I felt comfortable trying, mostly because it gets sooooo much blogger love, whether they’re into green beauty or not, I felt I could trust them. Plus, look how pretttyyyyy! rms beauty make natural, organic makeup with healthy ingredients. All the performance but without the worry of what you’re rubbing into your face with some products. 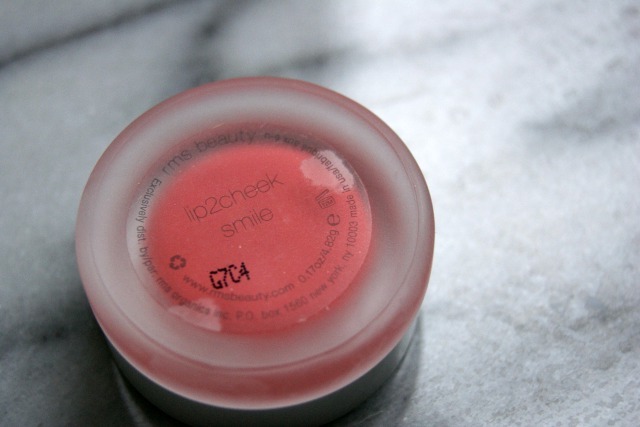 I bought lip2cheek in smile, because I thought it would give me a little foray into both lip and cheek products. 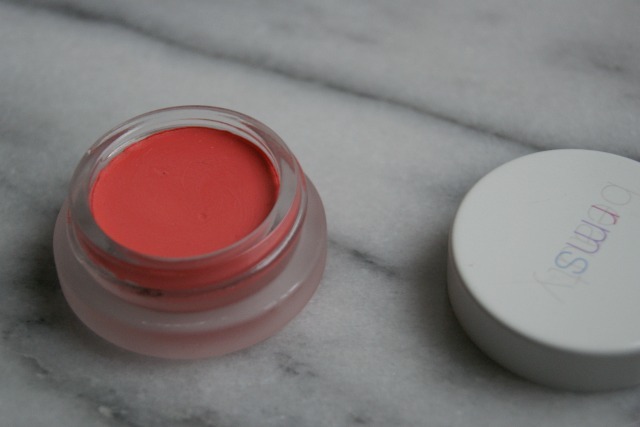 This pinky/coral shade looks good on both lips and cheeks, although has a distinctly different shade on each. I noticed that you have to move very quickly when blending it on your cheeks, but if you do you can achieve anything from a subtle flush to a bold colour if you build it up. It’s highly pigmented (as you can tell from the below picture) so a little goes a long way. It’s much easier to pat onto your lips where it gives you a matte effect and actually gets a lot paler on the lip the more you build it up. I preferred the texture of this on my cheeks where it appeared dewy and gave a healthy glow. I needed my lips to be in really good condition and nicely moisturised before this looked good as a lip product, but when they were, it gives a polished look. The box that lip2cheek arrives in and the lovely little pot itself are both sleek and the pot happily fits into my makeup bag. The glass pot is a little too heavy to carry around all day, but not so heavy that I’d think twice about taking this multi tasker on my holidays with me. This is a really nice product which I will definitely buy again. As you might expect with a luxury product, this has a luxury price tag to go with it and costs £28 from Naturisimo. Pricey, but a little goes a long way so I imagine this will last for ages. As always, I love reading your comments and really appreciate them. What do you think of rms products?